The Cocopah Indian Tribe has many business opportunities for investment. Below we have listed some of the current opportunities available. Please click on a property for more information. The Cocopah Indian Tribe, through the Tribal Council and the Public Works Department seeks bids from qualified firms for the cleaning, rehabilitation, and replacement of existing manholes on the East Cocopah Reservation in Somerton, Arizona. This project proposes the cleaning, rehabilitation, and replacement of existing manholes per the plans. This includes, but not limited to; ring and cover replacement, manhole cleaning and debris removal, rebuild existing manhole benches, barrels and cones, forming new manhole benches and the replacement of a manhole. The estimated price range for this project is between $25,000 and $100,000. Applicants are encouraged to schedule a "Preliminary Application Meeting" prior to submittal to confirm submittal requirements. 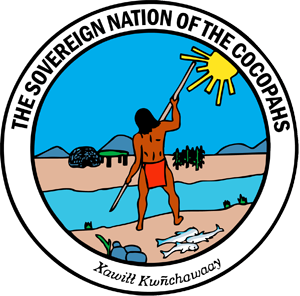 The Cocopah Indian Tribe requires individuals/groups seeking to do business on the Cocopah reservations to obtain a Development License. Business includes vendors, food vendors, construction projects and other development. Business license fee is $50.00 per calendar year and license fees are non-refundable. Once application is approved, licenses may be picked up within five business days. The Cocopah Food Court is located in the covered breezeway between the Cocopah Resort & Conference Center and the Cocopah Casino on the Cocopah East Reservation, nestled in the historic Yuma Valley. The area is a well-traveled location, just off Highway 95 and within miles/minutes of Yuma, Ariz., the Yuma International Airport and two major ports of entry at the U.S.-Mexico border. The Food Court was built attached to the south side of the three-story, 70,000-square-foot Cocopah Resort and Conference Center, which opened in December 2007. Cocopah Resort and Conference Center is described as a modern Southwest style with soft colors and landscaping. It is comprised of 101 rooms - including seven suite-style rooms - a swimming area and a cultural display area. Also offered is an additional 3,000-square-foot conference center with adjustable walls that assemble to make three independent meeting rooms. The conference center hosts local and out-of-town special events, seminars and business groups on a regular basis. The Food Court is connected on its south side to the Cocopah Casino. Casino patrons enjoy over 500 slot machines, blackjack tables, a restaurant, lounge, sports bar, convention and special event space and bingo room. 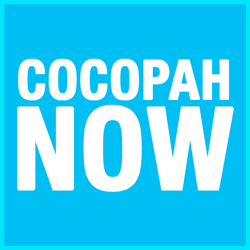 Cocopah Casino averages a minimum of 3,000 customers per day. These numbers increase significantly during special events held at the casino venue: Caballeros de Yuma's Midnight at the Oasis car show, the annual Elvis Presley Expo, Desert Rage cage fighting and the 4th of July extravaganza to name a few. There are four tenant spaces available: 615, 660, 710 and 740 sq. ft. and a dining area, that borders both the resort and casino. The area is designated as alcohol-free. As an added bonus, the Cocopah Gift Shop also resides in the breezeway corridor. For more information, contact Gary Magrino, Business Development Director, (928) 627-2102.